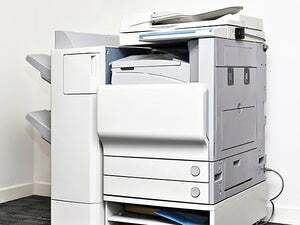 Most printers don’t retain information; multi-function printers might. It’s right to be paranoid about what happens with your hardware devices after they leave your hands. Researchers have gone to thrift stores and company surplus shops and acquired computers, hard drives, and other equipment, and found that improperly erased drives or information stored private data in nooks and crannies remained for the taking. I am concerned there may be sensitive information stored that would contain credit card information, checking account numbers, Social Security numbers, and the like. As I say, it’s reasonable. 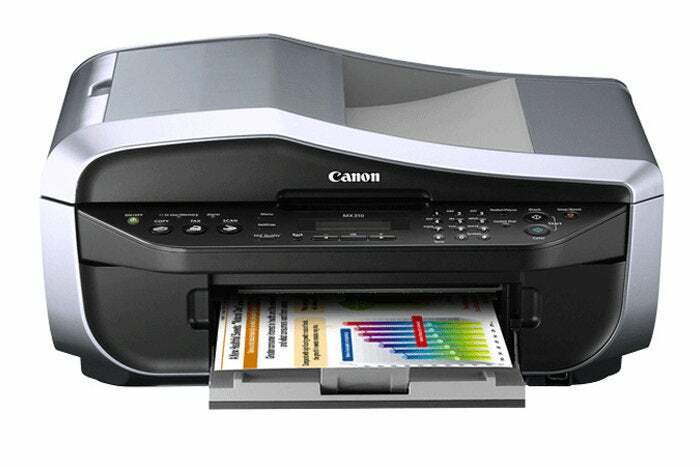 Most consumer-grade printers that have the single function of printing have no persistent memory or storage. Printers that double as scanners, fax machines, and copiers—whether multi-function printers (MFPs) or photocopier-style larger systems—may have temporary or persistent internal storage that you should check up on. Most of the time, you have to navigate through some kind of front-panel display that may be extremely annoying to use. Check your manual to see what it says about storage and deletion, and run through whatever options are available to clear out memory if there is any—and reformat it or reset the system to factory settings if that’s possible. Office-scale equipment might have a disk drive inside, but those are effectively non-existent in consumer and small-business MFPs. I checked the manual online for the MX310—most manuals can be found through Google—and it does have temporary storage that might retain documents faxed to it or queued for sending. But that's only the case while power is applied. Unplug the Canon model, and all its memory is allegedly wiped out. For devices that lack internal storage of any kind, you might check whether you entered personal details during setup that are retained in a small amount of flash or other non-volatile memory. This might be contact information or the details require for station identification on outgoing faxes. Again, if you can find a way to simply reset the printer to factory settings, you’re best off.